Two teenage boys aged 14 and 16 were attacked by a group of people while walking home in Southwater on Sunday April 5. Police said the pair were walking home near Lintot Square between 11.30pm and 11.45pm when they began arguing with six people. 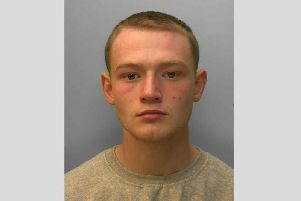 They were assaulted in Worthing Road, police said. The 14-year-old was treated by paramedics at the scene for bruising and head pain. Police are appealing for witnesses. Anyone with information can email 101@sussex.pnn.police.uk or call 101 quoting serial 1488 of 05/04.